Richfields is a leader and innovator in manufacturing turnkey precision plastic products. Our secondary processes for plastic parts involve cost effective yet sophisticated manufacturing systems and techniques such as: Spray Painting, Pad Printing, Hot Stamping, Electro plating, Silk Screen and Ultrasonic Welding. Richfield's spray painting and pad printing lines are comprised of engineering personnel focused on creating applications that utilize process technologies such as tunnel conveyors and oven systems, multi-color painting and printing including two color effects. 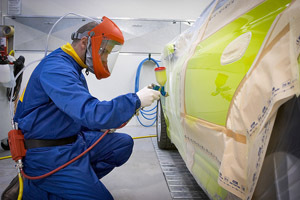 The main objective of our painting technology is reducing total product costs by utilizing state-of-the-art processing technologies making it possible to spray and cure parts in a single operation. Pad printing is an offset process where an engraved plate is coated with ink, squeezed, which leaves wet ink on the plate in the engraved pattern. A silicone pad is then pressed onto the plate and rises with the inked image. The inked pad then descends onto the component and imprints the image. Because the pad is pliable, it forms around irregular surfaces, such as cylindrical containers or round objects. Our equipment consist of 2 line tunnel conveyors, 10 spray paint chambers, 12 screen printing tables and 6 pad printing machines. 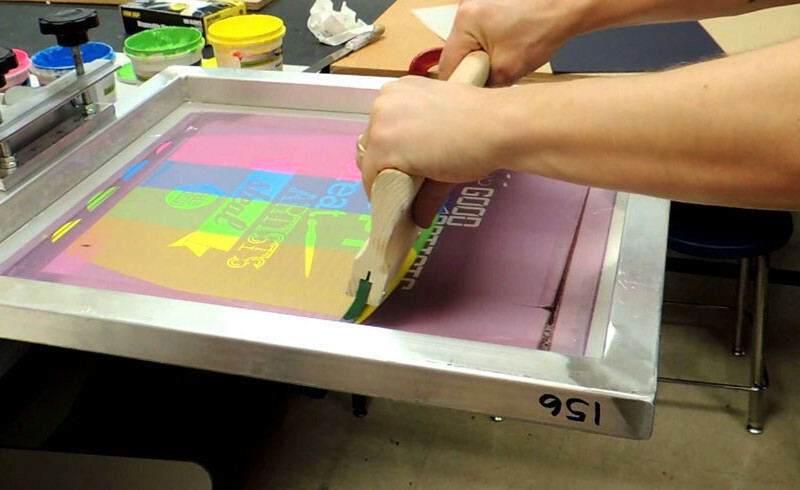 Silk screen printing is perhaps the most traditional printing method. It involves creating an aluminum fixture and screen where the area to be painted is cut out. The screen is then swiped with paint leaving paint only in the areas void of the aluminum screen. This is the least expensive out of all the painting methods in China. Hot stamping is comprised of a dry printing process that transfers pigment or metallic material from a continuous film carrier sheet to a component. Heat and pressure of hot stamping permanently transfers the image into the plastic. Silicone rubber dies conforms to fit the slightly uneven surfaces typically found in molded parts and this allows for excellent resolution and repeatability. This process is clean, dry, fast and free from the manufacturing limitations associated with wet ink printing. 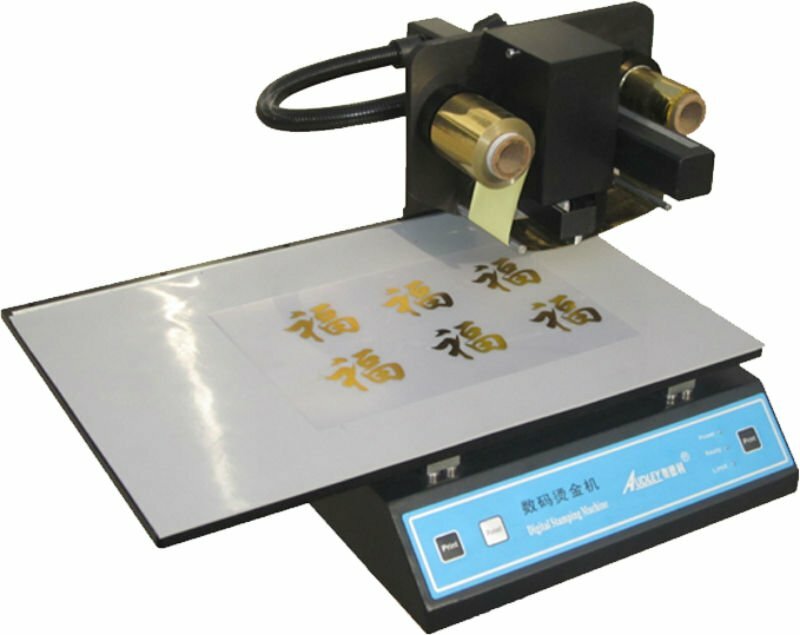 Hot stamping is often used in series with pad printing. As your manufacturing partner, we will invest the time and effort to make sure that you have the best quality for your product. Richfields currently has six hot stamping machines to be able to service your high volume requirements. Electroplating is a chemical process comprised of coating metals on plastic parts to provide a metallic look on your product. 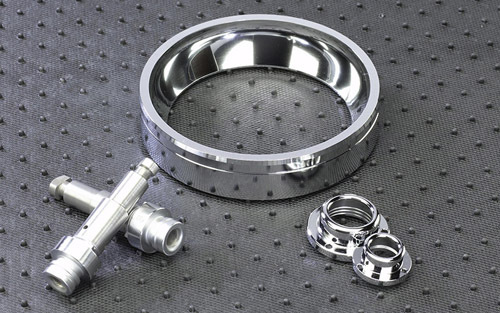 Richfields has extensive experience in the electro-plating of plastics, and are one of the few companies in China to commercially electro-plate plastics in a variety of metal finishes. Technology advancements and extensive expertise enable us to offer superior service of high quality finishes to meet almost all specifications. Ultrasonic welding of plastic parts requires a CNC machined fixture to hold the two plastic parts tightly together. Once the parts are in the fixture the ultrasonic welding machine vibrates at a very high frequency transmitting a great deal of energy into the area where the two plastic parts are joined. The energy is so great that the two plastic parts melt and fuse together in the area they are joined. Ultrasonic welding provides a secure, cosmetically appealing way to join two plastic parts.